The most stirring comeback of the college football season already has taken place. Less than a year after his cancer diagnosis, Pittsburgh running back and 2014 Atlantic Coast Conference player of the year James Conner rejoined his teammates for training camp. The 2014 ACC player of the year tore his right medial collateral ligament in the 2015 opener, knocking him out for the remainder of the season. Two months later, he was diagnosed with Hodgkin lymphoma. Conner was declared cancer free in May and joined his teammates for the start of training camp. 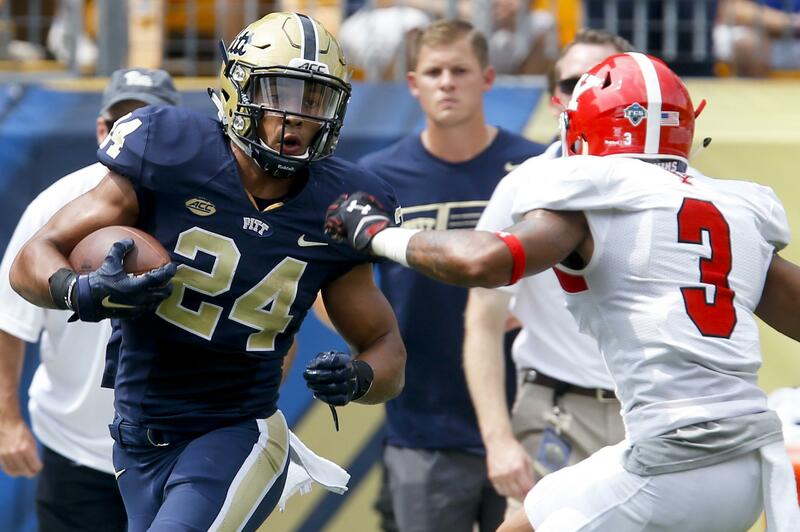 Conner rushed for 1,765 yards and scored 26 touchdowns for Pittsburgh in 2014. Conner joins a backfield that also includes Qadree Ollison, who rushed for 1,121 yards last season and was named the ACC offensive freshman of the year. Injuries have wrecked Hill’s last two seasons after he threw for 2,938 yards and ran for 1,344 yards in 2013. He played just four games in 2014 before a leg fracture and ligament tear knocked him out for the remainder of the season. Hill returned last year and suffered a season-ending foot injury in the Cougars’ opener. Hill is back and has been named the starting quarterback after winning a preseason competition with Tanner Mangum, who set BYU freshman records for passing yards (3,377) and touchdown passes (23). Although he played in just seven games last season, Russell still threw for 2,104 yards and 29 touchdowns. Russell was gaining Heisman Trophy attention and had Baylor undefeated and in playoff position before he suffered a season-ending neck injury. He set a single-season school record by averaging 10.06 yards in total offense per play. Russell has been cleared to return and will try to lead a team reeling from off-field issues and adapting to interim coach Jim Grobe. Zaire played brilliantly in a season-opening 38-3 rout of Texas last year but broke his ankle a week later against Virginia and missed the remainder of the season. DeShone Kizer replaced Zaire and threw for 2,884 yards with 21 touchdown passes and 10 touchdown runs. With Zaire healthy again and Kizer back as well, No. 10 Notre Dame has an uncertain quarterback situation as it heads into the season. Notre Dame coach Brian Kelly has said both Kizer and Zaire will play in the Sept. 4 season opener at Texas, though a starter hasn’t been announced.